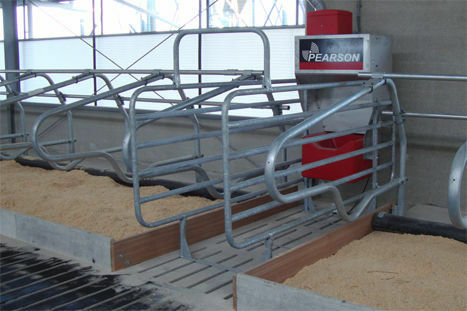 The Pearson out of parlour feed system can offer total control for feeding dairy cows. 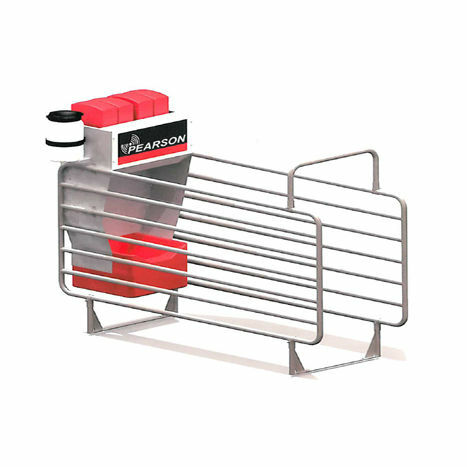 To get the best performance from your herd, Pearson allow a maximum of four different feed types to be mixed and dispensed to the cow. 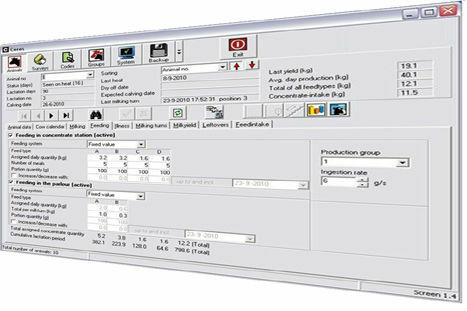 A liquid additive within each feed station may be installed. The feed falls into the feed trough at the same time from the synthetic hopper. Once the feed has been dispensed the anti-spill valve automatically closes the auger of the feeder. This stops any feed falling into the trough, preventing animals bumping the feeder to release more meal. The parlour electronics are thoroughly tested during and after the production process, and are mounted in the actual feeding stations. This guarantees simple and quick installation, and results in reliable, low maintenance operation of the feeding station and its electronics.